Was there life b4 Google? Google's 411 Service is cool & it's free! This is an awesome service from Google, and it's free -- great when you are driving on the road with no pen, pencil or paper handy. Don't waste your money on information calls and don't waste your time manually dialing the number. The voice at the other end says, "City & State." He says, "Business, Name or Type of Service." I say, "Firewheel Golf Course." He says, "Connecting" and Firewheel answers the phone. This is nationwide and it is absolutely free! Watch the cool video below. Free text options and mapping also available. About the author: Lori is a residential Realtor with Chinowth & Cohen Realtors, serving the greater Tulsa area, including midtown Tulsa, downtown Tulsa, Owasso, Jenks, Broken Arrow and Sand Springs. 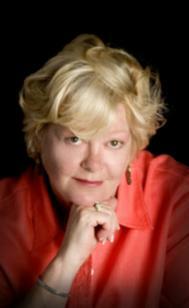 Visit her web site, www.LoriCain.com or call 918-852-5036. Pricing your home for sale – are you working WITH the internet? What I love about Tulsa!